In classical Japan there is a categorical term used to divide various subjects up into degrees of formalities referred to as Shingyōsō (真行草). This is a concept that can be found in everything from Toshi Keikaku (City, urban, and town planning; 都市計画), to the categorization of utensils found in Sadō (Tea Ceremony; 茶道), it is however most known for its use in Shodō (Calligraphy; 書道). Shin (Sattva; 真) is a more recent form of the older 眞 with the same meaning. in turn, this character is made up of the radicals “saji” (utensil;匕) and an abbreviated form  of “kanae” (tripod kettle/cauldron; 鼎). This infers the action of filling a vessel by ladling things into it; to give truth; essence (that which is flawless, not lacking nor wanting; comparable with 実) and thus reality without delusion. Gyō: The Shell and Bones script of “gyō” or “okonau” (Rajas; 行) is a pictograph of straight and crossing roads expressing going, movement, progress; a journey. Later it comes to express the quality of conduct; how to do something; performance (carrying out an action). Sō: Also read as “kusa” (grass; 草) is made up of the phonetically derived  “haya” (early; 早 – though its own etymology is derived from “ashita” (morning, “turning of the moon“; 朝)), and the radical on top is a more recent iteration of “kusa” (grass; 艸). These combined expresses the rising of the sun through the life of a plant, both expressing lowliness of grass, also the rising of expression with the sun; often used to express abstraction in aesthetics. In Japanese Calligraphy, the primary modus peregrinations of Shingyōsō from ancient India to present day Japan, we find the styles of writing divided up generally into three categories of formalities. The first (shinsho, which is also referred to as Kaisho (correct, square writing; 楷書)) being quite crisp and font-like, often times with sharp serif while other times without any such flourishes. This would be used for more clerical situations such as temple administrative documentation. The second (Gyōsho), semi-formal style, would be the equivalent to general handwriting found in english, commonly used for daily communication, note-taking, and illustrates a bit of character from the author. The third (Sōsho), least formal, would equate to cursive writing in English. This grade of calligraphy is the most expressive, generally thought of as most beautiful and art-like, and usually requires tremendous practice to be able to reproduce, while also requiring special training to be able to read correctly, even then one is usually expected to simply appreciate the qualities rather than try to understand them (Tathāgata; तथागत). Each of the styles of writing is expected to be used in the appropriate context: Shinsho for official and government documents and archival purposes; Gyōsho is for common communication, and often used in advertising to allow leeway for some eye-catching flourishes and colors; and Sōsho which is used almost exclusively in the artistic expression of Shodō. From this, the term Shingyōsō can come to be thought of as a system of observing appropriateness. The concept of Shingyōsō has been adopted and implemented into the martial arts both in observation and Pedagogy, sometimes as a way to categorize grades in a curriculum, other times to differentiate or express qualities of a technique or gesture. Shin means following the truth. It means that the fundamentals of shooting should be diligently and scrupulously followed. Gyō means carrying out the truth. It means that the shooting should obey true principles. Sō means form as nature. It means that the shooting should be natural and in harmony with all things. 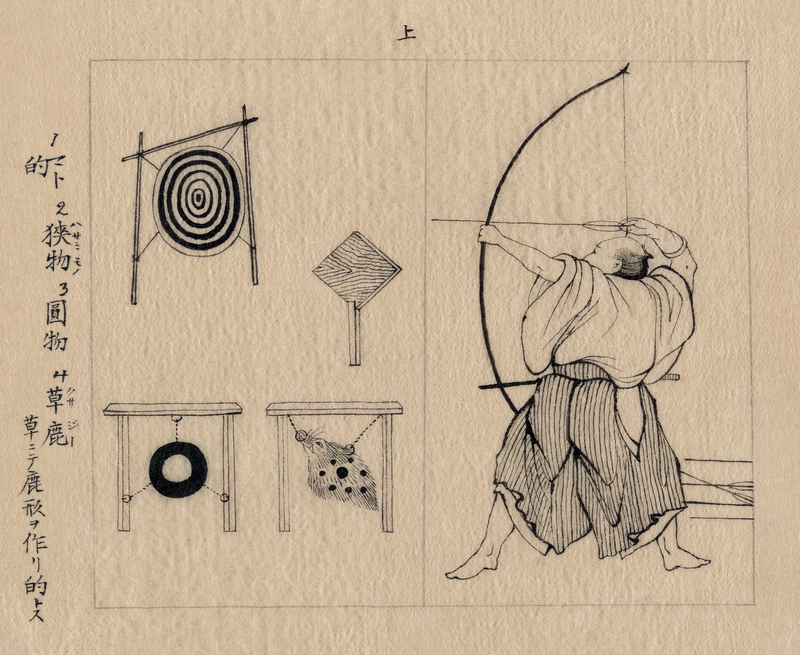 While more recently, according to the Nippon Kyūdō Federation the supreme goal of kyūdō is the state of shin-zen-bi (真善美), roughly “truth-goodness-beauty”, which can be approximated as: when archers shoot correctly (i.e. truthfully) with virtuous spirit and attitude toward all persons and all things which relate to kyūdō (i.e. with goodness), beautiful shooting is realized naturally. In Ono-ha Itto ryu, kiri-otoshi (at an advanced level other parts of kumidachi as well), is often practiced in 3 different ways: Shin (真), Gyo (行), So (草). “Kai-Gyo-So” or “Shin-Gyo-So” comes from the three ways of writing in Japanese calligraphy or “Shodo” (書道): “Kaisho” (楷書), which is equivalent to Shin, “Gyosho” and “Sosho”. Beginning with the original non-cursive Kai (or Shin) form, this is gradually broken down into the semi-cursive Gyo style and then the cursive So style. These three levels of formality are taken into the practice of Kiri-otoshi. In Kiri-otoshi, the cut in Shin is directed to the solar plexus, Suigetsu (水月). Another terminology for this kind of practice, is Randome. The three methods are as follows. with Sō you convey to the opponent, that does not bother me, that is no good,” smother his attack and defeat him. With Gyō you immediately show the opponent, “that is no good,” confront him aggressively and defeat him. With Shin you immediately strike down the opponent. Some have likened this to Mitsu no Sen (Niten Ichi-ryū) or Sanbyōshi (found in many well known ryūha such as Yagyū Shinkage-ryū), however both of those terms were in common useage at that time, and there is a clear correspondence between these two sets of trinities, the author decided to use a term that allowed for broader interpretation, one can surmise that Shingyōsō was used in order to express a much broader meaning than simply a sense of timing in Ittō-ryū. Interestingly, the practices of arresting the opponent with rope presents one of the most clear examples of Shingyōsō available in the martial arts. Although applicable to most edo period forms of rope arrests, there are a few ryūha in particular that made use of Shingyōsō quite explicitly, such as Ichiden-ryū (一傳流), Taishō-ryū (大正流), Kentoku-ryū (劍徳流), Sasai-ryū (笹井流), and Hōen-ryū (方圓流), where many of the ties have variations that increased in complexity as they were considered more formal. Keisotsu kusa sō Sumi (軽卒草総角), Shikō agemaki (士行総角), and shōma agemaki (将真総角) of Hōen-ryū (方圓流). Koshō nawa (小姓縄) of Taishō-ryū (大正流) and Kentoku-ryū (劍徳流). ”Shingyōsō no Honnawa Funyū-ban” (真行草之本縄不入番) of Ichiden-ryū (一傳流). As can be seen above, each of the examples from the above five ryūha each manage to express the progression from informal to formal via placement and complexity of the nawagata (rope forms; 繩型) on the captive. Alternatively, for some ryūha, the ties were divided up in measure of longevity, where Sō was for temporary ties for use with the hayanawa, while Shin was the category for the more permanent ties performed using the honnawa, and of course the Gyō ties were for anything in between that. Though the expression of Shingyōsō appeared to have maintained a fairly straightforward meaning through it’s progression in asia. However, when it was incorporated into the martial arts, it appears to have taken on several directions of usage; regardless of the particulars, it has always shown to be used as a measure of “Ideal” (shin; 真), “divergence” (gyō; 行), and “freedom” of expression (sō; 草) – a system of “appropriateness”. The phonetic element is an abbreviated form of a more complex character. Examples: 舌 in place of 括 in 蛞; 各 in place of 洛 in 路; 刃 in place of 忍 in 靱 etc. The earliest forms of the characters are those carved into shells and bones (chia ku wen; 甲骨文; in Japan, more commonly written as 甲骨文字) and those (jin wen; 金文) inscribed into tripod kettles, tools, weapons, musical instruments and other objects made of bronze. The phonetic element and the character itself belong to the same word family. Were one to apply this to the transmission of a martial technique, Shin would represent the kata, unchanged and transmitted completely intact; Gyō would admit variation for the purpose of exploration and adaptation to the circumstance allowing it to be used in a live environment and context; Sō would be the pure abstraction from the original form, maintaining only the gokui (quintessential point; 極意) of the original technique – the stage of the practice where daily living becomes practice because the practitioners martial arts become intrinsically entwined with the fundamentals of sitting, eating, walking and even how they treat others socially. Buyens, Guy. Glossary Related to BUDŌ and KOBUDŌ. (2012). Hartman, Earl. Seishinkan Kyudojo Principles of Training. (1995). Shintaro Hanazawa, Yukio Nishimura, Takeru Kitazawa, Naota Nakajima. Shin, Gyo, So: The Traditional Concepts of Spatial Design in Japan. (2004). Stonell, Richard. Ittō-ryū Kikigaki by Takano Sasaburo. (2012). Tokitsu, Kenji. Gorin no sho by Miyamoto Musashi. (1947). Wilson, William Scott. Shinkage-ryū Heihōsho by Yagyū Munenori. (2012).